For Kevin Mott, a Kiwanian in Evanston, Illinois, it started with a migraine. Followed by another. And another. His primary care doctor began treating him for high blood pressure, but when the symptoms didn’t dissipate, the physician directed him to a nephrologist, a doctor specializing in kidney care. After more tests, including a biopsy, the medical team still couldn’t put a specific name to his condition. The term didn’t really matter; the bottom line was still the same: Mott’s kidneys were going to fail, and he was going to need a transplant. That was in 2012. Marc Litwack, a New Jersey Kiwanian, hasn’t been as fortunate. He’s been on dialysis for almost four and a half years, undergoing four-hour sessions three times a week. 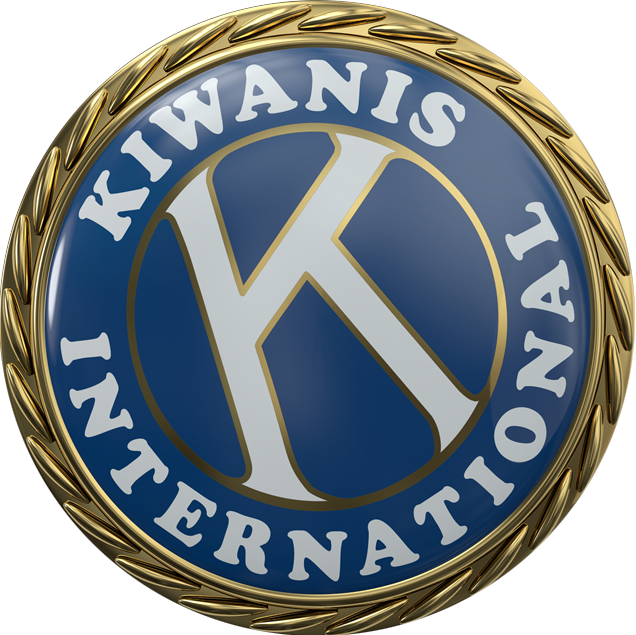 The former 2010-11 New Jersey District governor, who joined the Kiwanis family as a Key Club member in 1970, had to forgo a run for the Kiwanis International board due to the dialysis. The American Kidney Foundation reports that the average life expectancy on dialysis is five to 10 years, but those statistics vary greatly depending upon a person’s age, other medical conditions and a host of other factors. Receiving a transplant is the only way a patient can successfully get off dialysis. But in the United States, Mott and Litwack are two of more than 106,000 people on the kidney transplant waiting list. Only about 16,000 such transplants take place in the country each year, leaving more than 80 percent of the list behind. Other countries face the same issue. More than 50,000 await kidneys in the European Union. In Canada—with an overall population of about one-tenth of the U.S.—some 3,400 people are waiting for kidneys; in Australia, about 1,600. And then there’s Iran, where there is no waiting list—not because there is no need, but because the country made the controversial decision to compensate living donors with cash. Someone willing to give up a kidney for transplantation receives about 135 million rials, the equivalent of US$4,505. Consider that Iran’s average annual gross household income is just more than 352 million rials, and it’s easy to see why waiting lists are a thing of the past. Sigrid Fry-Revere, a bioethicist and living donor advocate, traveled to Iran in 2015 to study the compensation system. The country’s policy, she says, while raising serious concerns about organ trafficking, at least recognizes the very real challenges faced by some living donors post-surgery, regardless of where the transplant takes place. It can take one to three months for the donor to recover, Fry-Revere says, depending upon any complications that might arise. In the meantime, the donor may be facing lost wages, child-care expenses and other financial strains. In the United States, for example, the organ recipient’s private insurance generally covers the operation and immediate post-surgical care for both participants, but ends after about 30 days for the donor. And while that’s sufficient for the vast majority, some five to 10 percent of donors develop complications that extend past that time frame. In 2014, Fry-Revere co-founded the nonprofit American Living Organ Donor Fund (she’s also its president) to focus directly on support for living donors. The group provides grants to assist with nonmedical costs, organizes fundraisers and advocates for changes in the law to allow for expanded compensation opportunities. Four years ago, in conjunction with The Center for Ethical Solutions, the Donor Fund compiled a proposal for a program called Save Lives, Save Money Now. In addition to facilitating transplants within a donor’s region to greatly reduce travel-related expenses, the program would provide donors with a preloaded debit card—up to $10,000—to use for allowable post-donation expenses. That won’t cover unexpected extra medical costs or a job loss, Fry-Revere says, but it at least would help with immediate outlays. To become law, the proposal needs to be enacted as a bill through the U.S. Congress or as a regulation enacted by the Health and Human Services Department. Neither has happened. Outside the U.S., other countries already are focusing on financially neutral policies, meaning the living donor does not incur any expenses but doesn’t gain monetarily either. In Canada, the province of British Columbia launched the Living Organ Donor Expense Reimbursement (LODER) program in 2006. LODER reimburses donors for eligible travel, accommodations, meals, parking and child and/or pet care expenses, as well as assists with lost wages for up to eight weeks post-surgery. This past summer, Johnson’s branch launched a living donor mentor project, pairing individuals who are considering becoming donors with those who already have been through the procedure. She worked with existing donors from a variety of backgrounds so matches could be made based on commonalities in language, family situations and more. In 2013, Australia launched the Supporting Leave for Living Organ Donors Program, which reimburses employers for payment or leave credits given to employees who take time off for a living donation surgery and recovery. The original program was a two-year pilot; the government extended it in 2015. This past spring, it was renewed for four years, extending reimbursement wages up to nine weeks and adding coverage for certain out-of-pocket expenses. Transplant Australia, a national nonprofit that represents both transplant recipients and living donors, reports that in 2016 alone, living organ donations increased by 9 percent, with the vast majority of those being kidneys. In the opinion of many living donor advocates, however, the Netherlands offers the gold standard of donor support. The recipient’s insurance covers costs for the donor’s screening, surgery and necessary recovery procedures, while the Ministry of Health reimburses additional hospital and/or home-care costs, travel expenses and lost income. The results, says Fry-Revere, reflect why a reimbursement standard is superior to that of a cash incentive. In Taiwan, husband and wife Kiwanians Chien-Shan Hsu and Li-Mei Chen became a recipient/donor team several years ago. Hsu learned in January 2013 that he needed a liver transplant; by November of that year, he experienced a major bleeding episode and was hospitalized in critical condition. Chen already had been tested as a potential donor and was found to be compatible, although her husband resisted. But when Hsu’s health became severely compromised, plans for the transplant began moving forward. Chen donated part of her liver in January 2014. She was discharged after seven days; her husband followed two weeks later. After six months, Hsu’s liver had almost recovered, and Chen’s liver had grown back by 70 percent. Taiwan’s national health insurance paid for Hsu’s medical costs, but not for Chen’s. Neither did her supplemental private policy. Fortunately, the couple could afford the expense. But unless the issue of finances is addressed globally, experts say, many potential donors will continue having to choose between saving a life or their life’s savings. This story originally appeared in the August 2017 issue of Kiwanis magazine. My wife was fortunate 21 years to get a kidney from her sister are both doing well. I am a kidney donor, 15 years ago in August 2002! He was a church friend…my son’s softball coach and my daughter’s babysitting employer. It was the easiest decision I ever made in my life…and was life changing for me and his family!